Freedom with Pluralism, 9788193820124, 184pp. As for me, if it were not for you (Papa), never would I have been to the places I have been and done the things I have done, which have shaped me into the writer, teacher, and reader I am. One might say Fiza Pathan's father started her on a path toward books. He wanted a boy child and got a girl, and as a result, Fiza went to live with her mother and uncle at her grandmother's house. 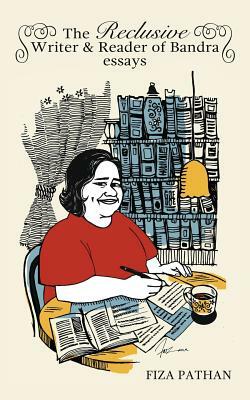 This book of personal essays documents the relationship Fiza Pathan has had with the many libraries, secondhand bookshops, boutique bookstores, and writing haunts that have made her into the writer, publisher, and teacher she is today. Fiza believes that she is an amalgamation of the books she has read over nearly twenty-seven years and the places that have provided her with excellent reading material. As we journey along with her, we notice how her life intersects with these places--we not only learn about the place, but about Fiza herself. Her struggles in life. Her start as an only child who loved comics. The teenager who escaped social awkwardness literally by hiding out in the library of her school and entering worlds distant from her own in the form of books. The twentysomething who frequented book boutiques that provided hot drinks and excellent people-watching opportunities. These pages describe the places in Mumbai that have made Fiza into the book lover she is--into the person she is. Her recollections are nostalgic and emotional as she grapples with her relationship to her estranged father, the father who rejected her because she was a girl child. Places have a way of making us into the people we become, and we take them along with us wherever we go. But what if all of those places are libraries, bookshops, and writing huts? What if you have used these places as launching pads to get to destinations beyond what you can see--places in your mind. And what if these places within you have defined the recluse you are--the recluse who has actually lived a thousand lives.